Well, in this case, not exactly "perfect," but better! 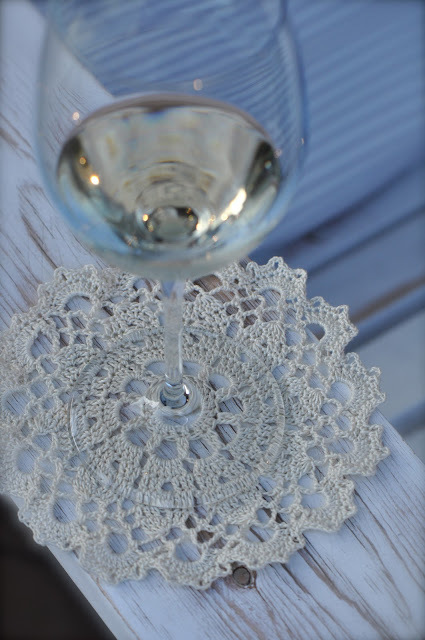 I'm still trying to work on my thread crochet skills. peaceful moments to enjoy the view and concentrate on a crochet project or two. Both the coaster and the bookmark I tried before with little success. because I didn't use the suggested correct hook or thread. neighbor and friend Priscilla, for watering my container plants while we were away. I'm thinking my mother in law might enjoy the bookmark. Becca, those look great, you did a wonderful job on them. Anyone would be flattered to receive a handmade gift like that. Looks like those skills are really getting there...beautiful projects! 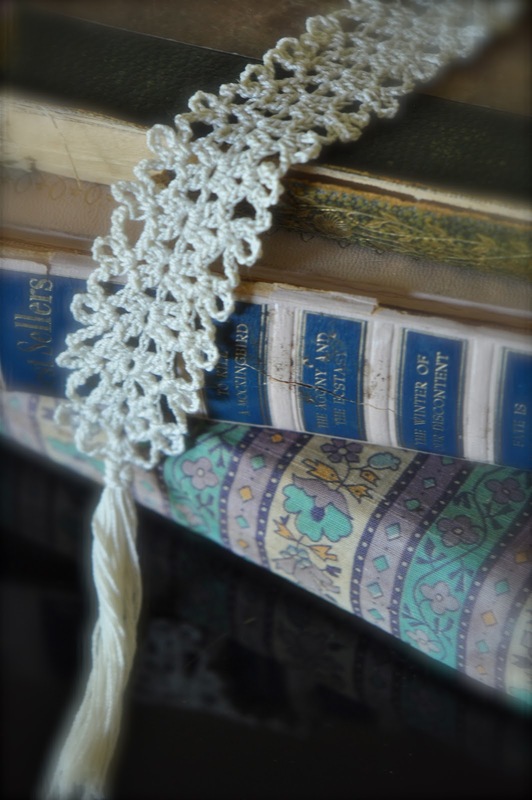 That's a really pretty bookmark! Good job! Two very beautiful projects. Must have taken you ages. They look wonderful my friend. I am the worst at reading what size hook I should be using and what yarn or thread.. So that is why my baby blanket turned into an afghan. Hee Hee. They really do look wonderful..
Look at that Becca! I think they are perfect...you got your coaster to lay so nice and flat and everything is so regular. Wonder if Seattle is having a drought too like so much of the rest of the country. Wow, you are doing great with that hook, Becca! They are both beautiful. A shawl should be no problem! Glad you're enjoying our late arriving summer, the months when our weather is almost always surprisingly dry. But the there are the other rainy ones to make up for it! You did a great job...I love the patterns you chose. Great stuff woman! Thanks for sharing....and I love your music too....I'm dancing here. 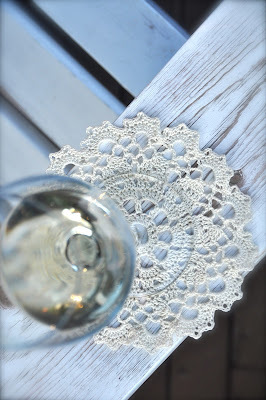 The bookmark is so pretty and delicate... Love the coaster too! Great job, they turned out very pretty. I especially love the bookmark! Such beautiful work! Lucky Priscilla! great job, i never could crochet with tread. i always did yarn projects. Both look perfect to me, such lovely work! 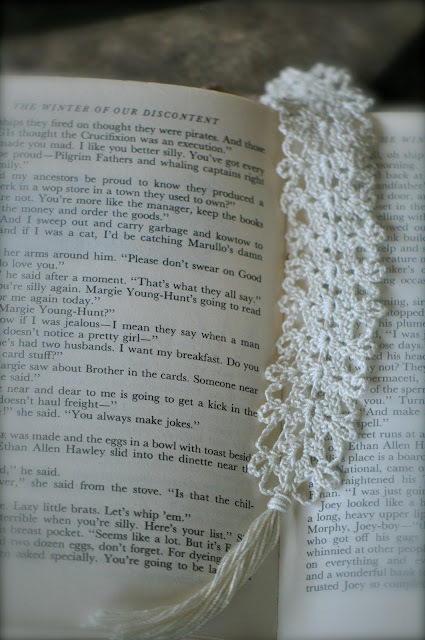 I so love your crochet bookmark idea. I don't mind if its crook as long as its usable. That's good for me. You are amazing, and these are wonderful!